Risks are changing and risk management needs to change too. 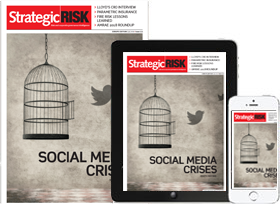 In order to remain relevant and continue to add tangible value to businesses, at StrategicRISK we believe risk management needs to evolve and change. That's why we've launched #ChangingRisk - a campaign promoting new thinking in risk. Risk management used to be a science, then it became an art, what's next? Risk management - is it relevant?